At Feefo, there is no room for fake reviews because it operates by invitation only. This means that only customers who have made a purchase from a retailer are invited to leave a review. This ensures that all reviews are genuine and provides authenticity that other review companies are unable to guarantee. It’s a simple process whereby the customer is asked to rate the supplier both for service and product, along with additional comments, such as whether the product exceeded expectation and why. Each review can be matched with a transaction, ruling out the threat of any fake reviews. 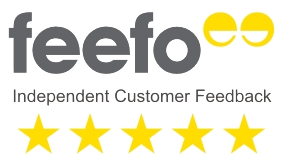 Cosyfeet uses Feefo and to date has received over 12,500 reviews. It currently has a service rating of 98% and a product rating of 95%.